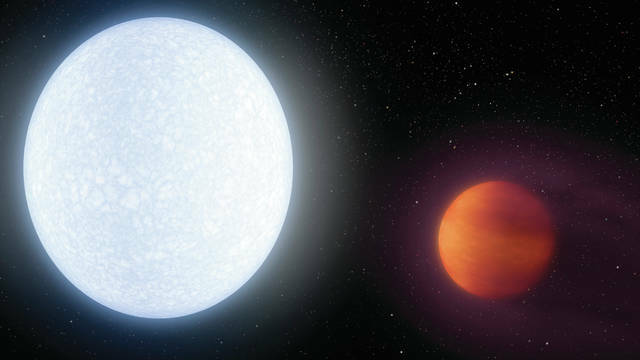 An artist’s rendering of an exoplanet. COLUMBUS, Ohio – Forget clashes between the Buckeyes and That Team Up North. For space nerds, the real win this weekend was Ohio against the universe. https://www.sunburynews.com/wp-content/uploads/sites/48/2018/12/web1_hottestjupiterwide-731951.jpgAn artist’s rendering of an exoplanet.